This step by step tutorial applies to both wysiwyg and Vivien. An Internet connection is required in order to perform Reauthorization. Reauthorization cannot be performed over the phone. Click Members’ Login or Online (depending on which Reauthorization window appears, as per the screenshots above) in order to be directed to the Members Only Area login page and begin the Reauthorization process. Within a minute, your default web browser will open to this page. IMPORTANT NOTE: You MUST click this button in order to begin the Reauthorization process. Simply pointing your browser to the Members Only Area and logging in WILL NOT allow you to Reauthorize! Log into your account using your dongle Serial Code and password. 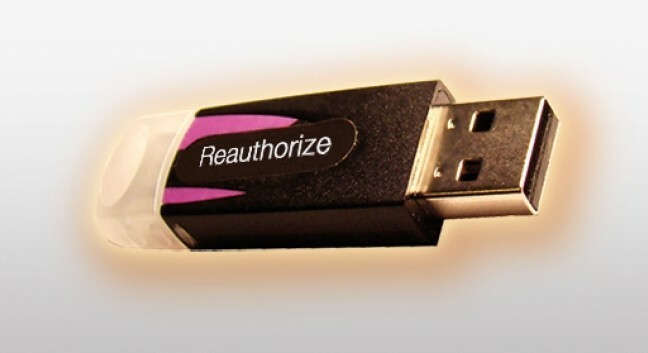 Note: If you have never logged in with this dongle, only supply the dongle Serial Code leaving the password field blank; you will be prompted to create and confirm a new password automatically. Ensure that the Reauthorization checkbox is checked and click Proceed at the bottom of the screen. The Reauthorization Validation Code will be generated for you and will appear on the next page. Double-click the code to select it, and then copy it (CTRL+C). Click within the Reauthorization Validation Code field, then paste the code (CTRL+V). Click Reauthorize. A Reauthorization Successful message appears and wysiwyg/Vivien starts. IMPORTANT NOTE: in versions of wysiwyg up to R34 and versions of Vivien up to 2015, the “I accept…” checkbox must be checked in order for the Reauthorize button to become active (after the code has been pasted).